WASHINGTON -- The United States is offering uncharacteristically sharp criticism of Israel after a policeman captured on camera beating an American citizen was sentenced to six weeks community service. State Department spokesman John Kirby says Washington is disappointed the policeman was spared prison time. He says evidence of excessive force is "clear" and the sentence doesn't promote accountability. Israel's state prosecutor can still appeal the decision. The U.S. rarely criticizes internal judicial matters in Israel, a close ally. The incident occurred during a violent protest in east Jerusalem in July 2014. Fifteen-year-old Tariq Abu Khdeir of Tampa, Florida, a Palestinian-American dual national, was beaten after the murder of his cousin. Israeli extremists had burned the 16-year-old cousin alive in revenge for the killing of three Israeli teens in the West Bank. News of Abu Khdeir's death triggered violent protests in the east Jerusalem neighborhood where he lived, as angry crowds destroyed light-rail train stations, clashed with police and littered roads with stones and debris. The unrest spread to Arab areas of northern Israel over the weekend. In east Jerusalem, home to the most violent protests over the teen's death, Abu Khdeir's family said back in 2014 that news of the arrests brought them little joy. "I don't have any peace in my heart, even if they captured who they say killed my son," said his mother, Suha in 2014. "They're only going to ask them questions and then release them. What's the point? "They need to treat them the way they treat us. They need to demolish their homes and round them up, the way they do it to our children," she added. 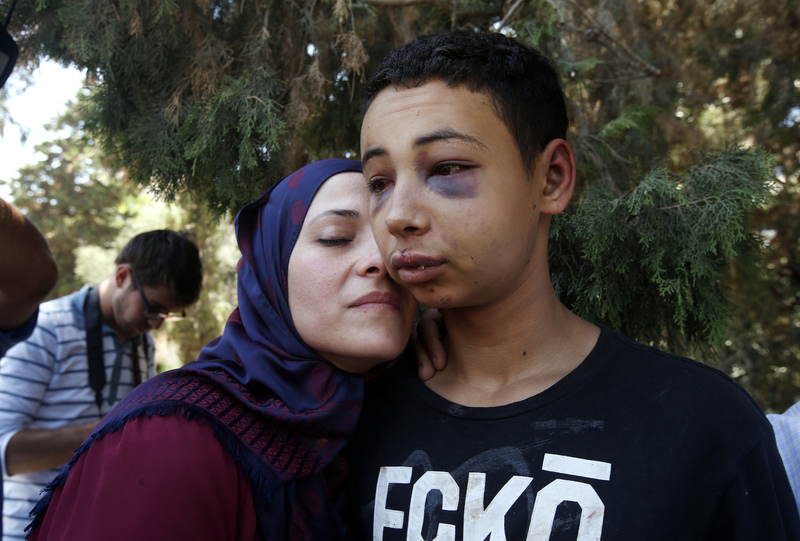 His face covered in bruises, Tariq told CBS News back in 2014 that he was trying to run away from the clashes when Israeli security forces grabbed him. "They punched me, they kicked me, they kicked me in my face. They made sure I wasn't able to see anything. I wasn't even breathing," he said. "They didn't stop. They were carrying me and still kicking me and punching me. Even when I was unconscious," he said. He said he was haunted by thoughts of his murdered cousin. "I can still remember his voice in my head," Tariq said. It's like he's still here. Just that like nobody can see him."